The refrigerated rink at Red Arrow Park, "Slice of Ice", opened yesterday. 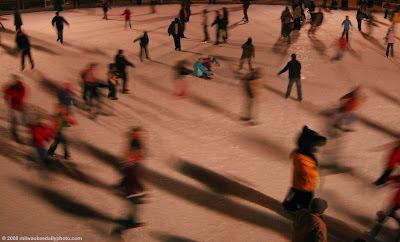 By nightfall, the rink was busy with kids of all ages skating and enjoying the crisp late fall weather. Skating is free, and skate rental and skate sharpening are available for $6 each. Weather pending, the rink will be open through February.